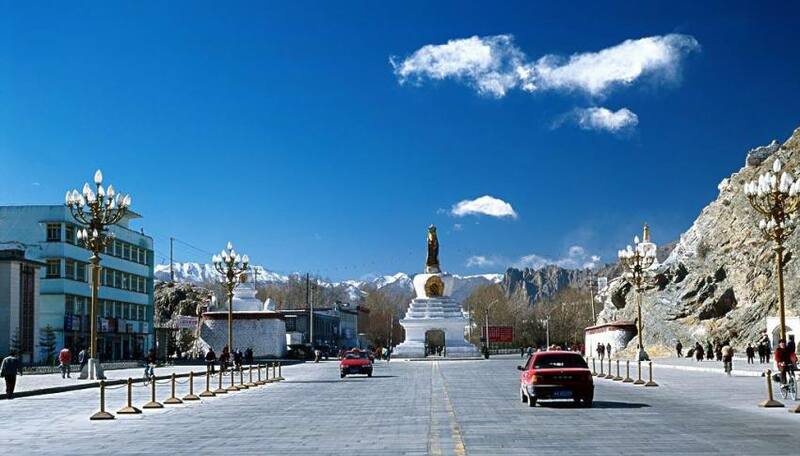 This is a fabulous short trip to take in the amazing places, culture and history of Lhasa. Visit 3 of the most important monasteries of the Gelugpa Tradition of Tibetan Buddhism, visit the former homes of the Dalai Lama. Marvel at the Jokhang Temple with it’s golden Buddha it is the spiritual heart of Tibet. Have a look at where the Lamas meditate silently in the hillsides and get a glimpse of the depth of spirituality and the culture of the Tibetan people. Day 05:Departure Day It’s time to leave Lhasa today. Day 1Kathmandu to Lhasa (3,650m/11,972ft) Today you will be embarking on an amazing adventure. Your flight leaves Kathmandu at midday and you will be arriving in Lhasa in the afternoon. On arrival you will be transferred to your hotel where you can spend the rest of the day relaxing or exploring the local area. It’s a good idea to rest and allow your body to become acclimatized to the altitude gain. We will have a welcome dinner tonight where you will be familiarized with the itinerary and be introduced to local cuisine. Overnight in Lhasa. Day 2Lhasa Sightseeing – Potala Palace, Norbulingka Palace and Tibet Museum 5-6 hrs Today we have a full day tour of Lhasa where we can start to see some of the amazing sights. We visit the beautiful Potala Palace. Prior to his exile this was the winter home of the Dalai Lama and also the seat of the Tibetan Government. We have the opportunity to visit the private quarters of the Dalai Lama, preserved just as it was before he left. It is an architectural wonder and at 13 stories high it dominates the scene in Lhasa. From here there are wonderful views over the entire city. From here we visit the Norbulingka Palace which was the former summer home of the Dalai Lama. This palace is famous for having the largest man made garden in Tibet. Our last stop today is the Tibet Museum which houses a permanent collection of artifacts relating to the history and culture of Tibet. Overnight in Lhasa. Day 3Ganden Monastery and Drayerpa Cave – 5-6 hrs This morning we travel by vehicle to Ganden Monastery which is situated at the top of Wangbur Mountain (3800m) 57km east of Lhasa. It is the oldest and one of the three most important monasteries of the Gelugpa tradition in Tibetan Buddhism. Of particular interest are the beautiful murals and sculptures seen here. After lunch we travel to Drayerpa Cave which is situated in a beautiful valley. In this location there are more than 30 caves where Lamas would practice silent meditation surrounded by the stunning landscape. On the completion of our day we drive back to Lhasa where we spend the night. Day 4Lhasa sightseeing – Drepung Monastery, Sera Monastery, Jokhang Temple & Barkhor Bazaar – 5-6 hrs Today we continue our sightseeing tour of Lhasa. We visit the Drepung Monastery which is one of the three most important monasteries of the Gelugpa tradition in Tibetan Buddhism. It was once home to some 10,000 monks but is now reduced to a few hundred. We also visit the Sera Monastery which with it’s white washed walls and golden roofs is another of the important monasteries of the Gelugpa and is an impressive sight. We visit the Jokhang Temple, a 1300 year old temple that is the spiritual heart of Tibet. As a very important spiritual pilgrimage place you can see pilgrims prostrating themselves outside. The golden Buddha here is the most revered in all of Tibet. The Barkhor Bazaar (market) nearby is the heart of Lhasa with it’s open air stalls, shops and crowds of pilgrims. Overnight in Lhasa. Day 5Departure Day It’s time to leave Lhasa today. Our flight back to Kathmandu is this morning so after breakfast we are transferred to the airport for our direct flight.